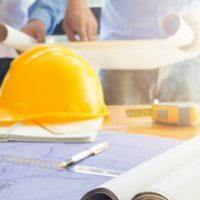 As the owner of a completed construction project, you are not out of the clear to enjoy the property until the statute of limitations for making claims and construction liens have passed. Until that time, your property is subject to claims from contractors, laborers, material suppliers, subcontractors and professionals such as engineers. There are certain ways to alleviate the potential claims of builders and other contractors. These strategies require knowledge of the laws surrounding construction liens as well as knowledge of the construction process and its technicalities. A construction lien is a security interest acquired in a construction property by an individual who spent material, time, and labor working on that property. In this instance, the security interest is created by operation of Florida law. The lien, if granted to the claimant, is in effect until the holder of the lien is paid for his or her services. Under Florida law, persons entitled to make a lien claim includes any person who furnishes materials under a contract to the owner, contractor, and subcontractor on the site. They also include persons who add labor to the property. If the lien is granted, the lien will stay in effect until the lien holder receives payment for services provided. The failure to make payment for those services rendered may lead the contractor to keep possession of the property. Where a construction project has many claimants, things can get a bit more complex. For example, this is depicted in a scenario where a general contractor does not pay its subcontractors and professionals. Here, a contractor will dispute or simply refuse payment of funds from electricians, plumbers, landscapers, as well as architects and engineers. These entities that have already furnished labor can use the construction lien route to block the contractor from terminating the project. This also hurts the owner of the project who may not be able to take full ownership until all debts are settled. To prevent or lessen the impact of this scenario, there are a few important steps owners can take to prevent lien issues and defense against them. The first way to alleviate the issue of multiple claimants is to have the contractor pay a bond. The bond is effective in the event the contractor does not properly pay subcontractors and other professionals. Another of way defending against a construction lien is by arguing lack of privity between the owing party and the claimant. In other words, the owner of the construction project can argue that it does not have any contractual ties to the claimant. In some instances, this is the case as subcontractors normally make their contracts with the general contractor. Although this argument may not be the strongest, there are some cases where the claimant is not entitled to a lien based on a lack of contractual privity. Lastly, a lien waiver is another tool used to combat dueling lien claimants. A lien waiver is a document where the signing party agrees to waive their right to file a construction lien. Where possible, owners should use this mechanism to lessen the number of parties who can make claim to the property. If you have experienced non-payment for work completed on a construction project, a construction lien may be the right tool for you. Attorney Brendan A. Sweeney is an experienced Florida construction law attorney and he is ready to help you get the money that is due to you. Involving an attorney in your construction dispute is a wise decision and raises the likelihood that you will prevail in court. Contact us now for a consultation.